12-21-17 CSU Ext News: Want to learn more about Preserve@Home? CSU Ext News: Want to learn more about Preserve@Home? So are the jars in the photo canned correctly or not….that is the question? Preserve@Home provides research-based food preservation education online throughout the state of Colorado. Participants learn how to produce high quality preserved foods and the science behind current food preservation techniques and food safety. WASHINGTON, Dec. 21, 2017 – In 2017, USDA’s Natural Resources Conservation Service (NRCS) continued its proud tradition of working in partnership with America’s farmers, ranchers, and forest landowners. 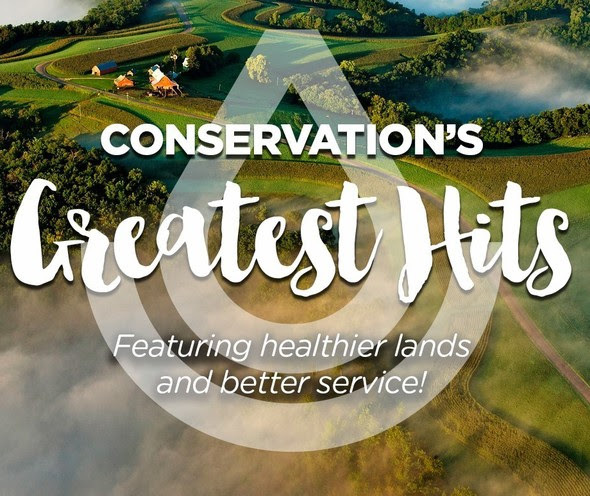 “Our data and science-based surveys of our work show that we and our partners brought a healthier resource base, used taxpayers’ dollars wisely, made people safer, and brought more-efficient customer service to our customers and communities in 2017,” said Dr. Robert Johansson, Acting Deputy Under Secretary for the Farm Production and Conservation mission area. WASHINGTON, Dec. 21, 2017 – U.S. Secretary of Agriculture Sonny Perdue today applauded the accomplishments made by the U.S. Department of Agriculture (USDA) over the past year. In the first year of the Trump Administration, USDA made breakthroughs in agricultural trade, moved to reduce burdensome regulations, responded to natural disasters, and battled through the worst fire season on record, among other notable achievements. Agriculture Secretary Sonny Perdue calls the recently passed tax reform bill a “once-in-a-generation” reform of the federal tax code. Calling tax reform an eagerly awaited Christmas present for taxpayers, Perdue says “tax paying people of American agriculture need relief.” In his statement, Perdue offered thanks to President Trump and commended Congress for passage of the legislation. He says most family farms are run as a small business, and that they “should be able to keep more of what they earn to reinvest in their operations and take care of their families.” Perdue says that simplifying the tax code and easing the burden on citizens will free them up to make choices for themselves, create jobs, and boost the overall American economy. Business leaders in Canada are trying to sway Prime Minister Justin Trudeau to join the now U.S.-free Trans-Pacific Partnership trade deal. In an open letter, more than a dozen business leaders are telling Trudeau to join the pact that the U.S. left earlier this year. Canada-based Business News Network reports the letter doesn’t specifically mention the threat of a U.S. withdrawal from the North American Free Trade Agreement, but says trade diversification is more important than ever. A spokesperson for Canada’s International Trade Minister says the government is “redoubling” its efforts to consult with stakeholders to make sure Canada gets the best deal possible on the revived TPP. However, with Canada absent from the recent Asia-Pacific Economic Cooperation meeting, Japan is considering pressing forward without interaction with Canada in the TPP talks. Canada’s agriculture groups last month continues to press the nation to move forward with TPP, citing uncertainties with NAFTA as a reason to bolster other trade markets. Canada has concluded on-farm testing for bovine tuberculosis after the fall 2016 outbreak in Alberta. The TB investigation has been underway since September of last year, when Canadian officials got notice from the U.S. Department of Agriculture that a cow from Alberta had tested TB-positive at a U.S. slaughter plant, and later found six confirmed cases. The Canadian Food Inspection Agency reported this week it has completed on-farm testing of those “trace-in” herds, which include about 15,000 animals in all. AgCanada reports that testing of “trace-out” animals, any animals that left the infected index herd in the past five years, is also “largely complete with no additional cases to date.” Genetic analysis of the TB strains in the six infected animals showed they were all infected with the same strain, but that it wasn’t the same as any strain ever previously detected in Canadian domestic livestock or wildlife or people. Officials say it’s possible that a source for the confirmed infections won’t ever be found. DuPont Pioneer officials earlier this week confirmed the company has laid off “an undisclosed number of workers” in Iowa. A spokesperson for the company said the layoffs are an effort to “integrate our operations and establish a streamlined, efficient, built-for-purpose organization.” DuPont and Dow Chemical closed their $150 billion merger this fall, with plans of creating several smaller companies, including a new standalone ag company. The Des Moines Register reports the company remains committed to its three locations in Delaware, Indiana and Iowa. Though Iowa lost its bid to headquarter the company’s new ag firm, state leaders awarded $17 million in incentives in 2016 to keep roughly 2,600 jobs at DuPont Pioneer in the state. The company expects that over time, it will have a presence of “equal or higher” employment levels, because of the transition.